Mica CI 77019, Vitis vinifera and Actinidia chinensis (vinanza performance plus grapeseed and kiwifruit skin) extract, simmondsia chinensis (jojoba) seed oil. Sprinkle a small amount of powder into the lid of the pot. 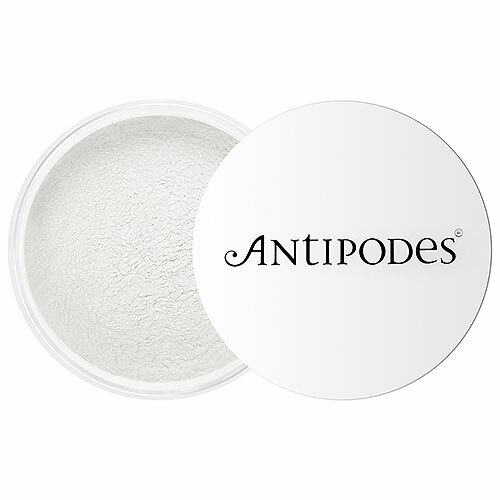 Cover your Antipodes natural hair kabuki brush with this powder, and tap off excess before lightly dusting over the skin of your face in circular movements. It is also perfect for hiding unwanted flaws on your neck and decolletage. Reapply throughout the day or eve as necessary. 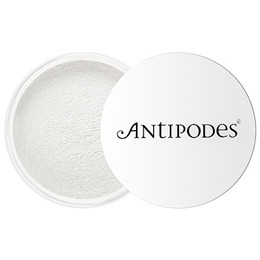 Below are reviews of Antipodes Translucent Mineral Finishing Powder - 13g by bodykind customers. If you have tried this product we'd love to hear what you think so please leave a review. This product feels light and lovely on the skin and so it takes away shine without feeling like a mask.